This slow cooker corn on the cob will become your favorite, and the ONLY way you cook with corn once you try it! While we love grilled corn on the cob while it’s in season, we have to admit that it takes a bit more time and it’s unlikely that we’ll do it on weeknights. Boiling is another option, but I’m sure you’ll admit that the corns won’t turn out as well. 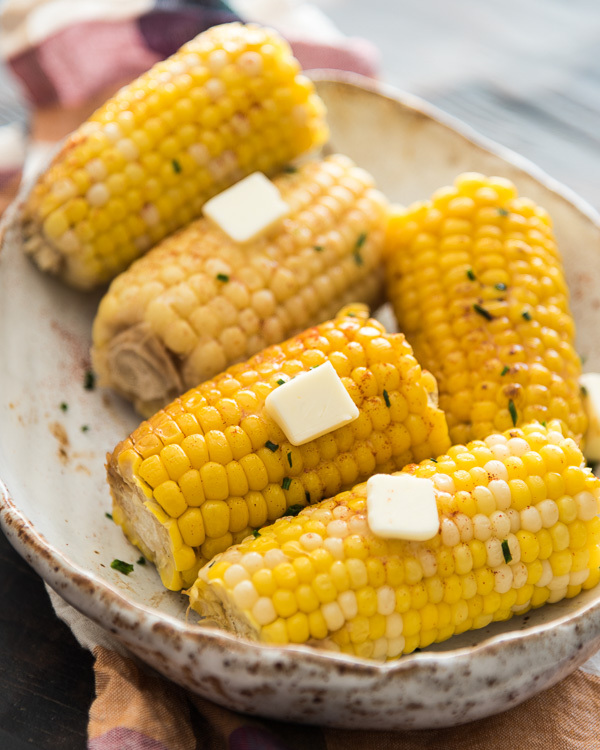 Now we have another option – to cook corns on the cob in a slow cooker! Simply place the corns in the slow cooker and add water to steam them. Place butter on the corn and season them with salt and pepper slightly. That’s it! The corn will be cooked until tender without losing any of its sweet and fresh flavor. You can spice it up by adding more butter and herbs of your choice. The greatest part of this recipe is that you can tweak it however you want with whatever seasonings you have at hand. While cooking the corn, you can bake a main dish at the same time, so dinner will be ready altogether.The cooking is a no brainer and clean up is super easy. Want a healthier version? Replace the butter with olive oil and squeeze a bit of lemon juice over the corns before serving. The aroma will make you wish for a never-ending summer! Place corn in slow cooker and pour in 1/2 cup water. 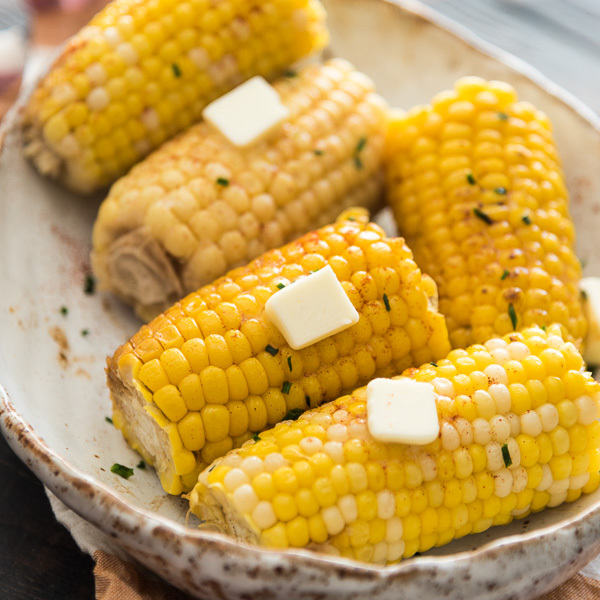 Place a small chunk of butter onto each corn. Season with salt and black pepper. Cook on high for 2 to 3 hours or on low for 5 to 6 hours, until the corn is bright yellow and tender. Use a pair of tongs to transfer the corn onto a plate. Season with spices of your choice and more butter, if using.